Yamaha UK have a major investment in this year’s British Supercross Championships, which bursts into life at the NEC on November 28 and repeats again on December 5 at the same venue. In addition to financial support for the series from Yamaha UK, Steve Dixon's UTAG Yamaha team will be fielding American Zach Osborne and Canadian Kyle Beaton on the British-based factory-backed Yamahas. Beaton, who just won the Montreal SX2 class in front of 50,000 Canadian fans, is on a roll and out to prove himself after an injury earlier in the year dashed his chances of a Canadian outdoor title. Former GP winner Osborne who entered the British Supercross Championship at Liverpool last year after missing the first round at Sheffield, will be riding the whole series this year. He has something to prove after an injury in the GP of Portugal took him out of action earlier in the year. Osborne and Beaton will be lining up against some serious competition including defending SX1 and SX2 champ, American Mike Brown on a KTM and KTM US factory star Mike Alessi (who is only contracted to ride in the opening round). American Alessi, arguably one of the fastest racers in the world, will be out to re-position himself as top dog after an injury-riddled season robbed him of the US outdoor title while Brown will be equally determined to retain his British SX1 and SX2 titles. British hero Carl Nunn is the defending British Open Supercross champ who beat Brown at Liverpool last year and recently won the Red Bull Pro Nationals MX1 Championship. Gordon Crockard finished runner-up to Nunn last year and will be back to contest the series along with DB Racing's British based South African Neville Bradshaw. 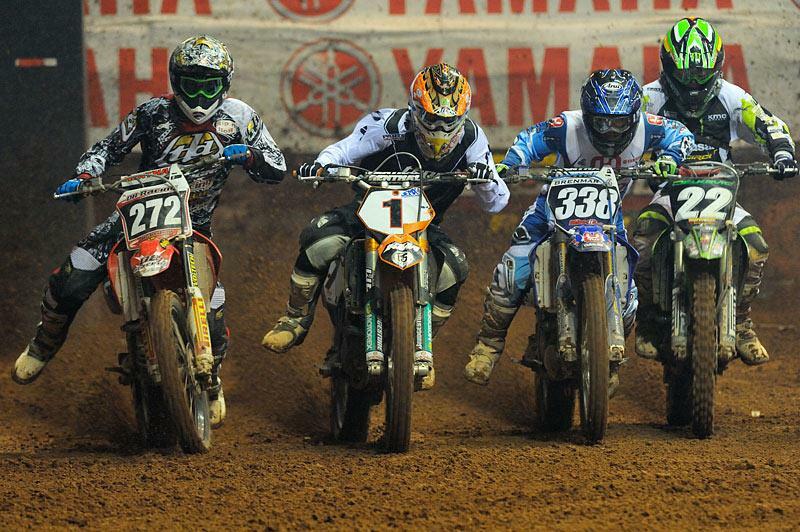 Bradshaw who recently claimed the Red Bull Pro Nationals MX2 title will be back to further add to the mix. LPE Kawasaki will also be fielding an impressive team with Elliot Banks Brown and Kristian Whatley and possibly an as yet unconfirmed offshore rider. This year's series will also get a first time look at the latest crop of Canadian young guns including Spencer Knowles from Vancouver and Manitoba's Ryan Millar. Both Millar and Knowles are products of the Canadian Arena-cross Championships that has produced some great riders over the last 20 years. The SX1 and SX2 Future West ACU British Supercross Championship kicks of at the NEC on Saturday, November 28th and repeats the following Saturday evening, December 5th, running alongside the Carole Nash International Motorcycle and Scooter show. 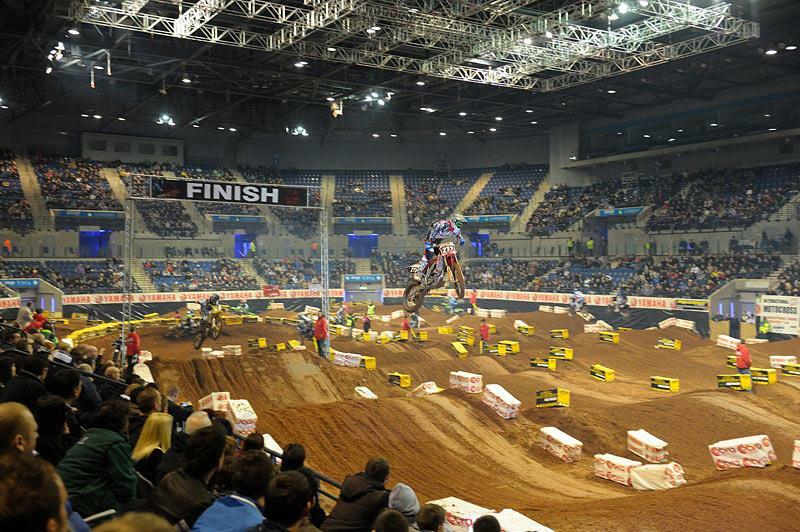 The Supercross events are however ticketed separately from the Carole Nash International Motorcycle and Scooter show and can be bought through The Ticket Factory box office on 0844 338 8000.